Home AFMA Have you ever wondered how many fleets there are in Australia? Finally! Someone has done the research on the fleet industry and is willing to share it. At the opening session of the 2018 Australasian Fleet Conference and Exhibition, Steve Nuttall from ACA Research presented their findings on a research project commission by AfMA. This isn’t the first time ACA have done this research. I have used them twice over the last 20 years while working at Caltex and SG Fleet. And I know they have been working closely with some of the big FMOs to help them understand their markets for fleet management and vehicle financing. Though this is the first time it has been released to the public. Marketing Managers are always asking FAN for statistics and information on the size of the fleet market. We share what we have gathered from our own research and it turns out our estimates have been fairly accurate. 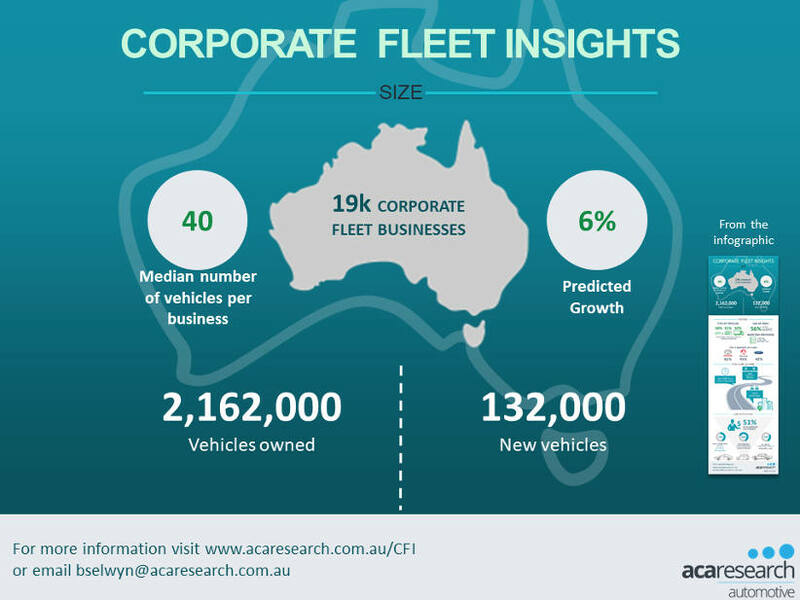 The research estimates that in Australia there are 19,000 businesses operating fleets with 20 twenty vehicles or more with a total of 2,162,000 vehicles. While in the smaller end there are 400,000 businesses running fleets of less than 20 vehicles. Another question FAN often gets asked is how many companies use FMOs compared to managing in-house. The ACA Research estimates that 56% of corporate fleets (20+ vehicles) use an FMO. This increases as the size of the fleet grows to 67% for fleets of 200+. This result varies only 3-5% compared to research from 20 years ago. One of the surprising results was the penetration of novated leasing. While 66% of businesses surveyed offered employees the option of novated leasing, only 29% of eligible employees used this as a way to finance their vehicle. The larger the business the more likely employees will be offered novated leasing as a benefit but it’s less likely they will take advantage of it. So novated leasing is far from saturated and when the changes to accounting standards starts in 2019, 28% of companies currently using finance for their corporate fleets will offer more employees the novated leasing as an option.